I set these pages up after buying a Stage 1 V8 and finding that there is very little information about them on the Web. This is not intended as a definitive guide, and probably contains many errors - e-mail me and I will do my best to improve it. What is a Stage 1 V8? Stage One V8 - truck cab with canvas. Wheels are non-original, but otherwise pretty much as it left the factory. The story goes back to the mid Seventies. British Leyland was in deep trouble; much of its range was outdated (Marina, Maxi) and the new cars intended to turn the company around were not really up to the job (Allegro, Princess, TR7). The only bit of the BL empire still making money was Land Rover, but even here all was far from well. The utility 4x4s which were the company's mainstay were taking a hammering in crucial export markets from Japanese competitors, and especially the Toyota Landcruiser. The Toyota was very similar in many respects to the Land Rover. 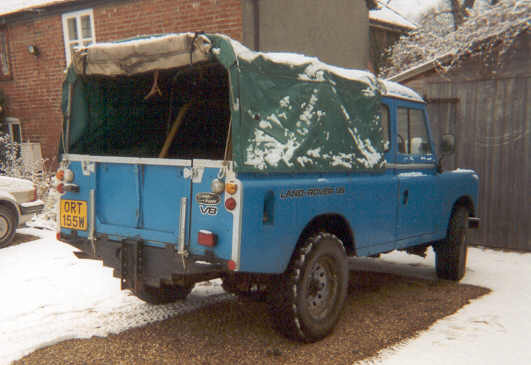 It had a separate chassis, leaf sprung beam axles and not a lot of comfort. What gave it the edge, and threatened to wipe out Land Rover in Australia, Africa and the Middle East, was its engine - a 3.8 litre straight six which pulled like a train from just above idle speed, and never broke. All Land Rover could offer was a choice of 2.3 litre four cylinder motors (petrol or diesel) or a 2.6 litre 'six' which dated back to 1947, wasn't much more powerful than the petrol 'four' and acquired a reputation (not entirely deserved) for overheating if worked hard. Rear view - note prominent V8 badging. To keep Land Rover competitive, the Government (which owned BL at the time) authorised a massive (by BL standards) spending program so that Land Rover could develop new models to fight the Japanese threat. This produced, among other things, the four door Range Rover, improved four cylinder engines and ultimately the coil sprung 90/110 series vehicles. 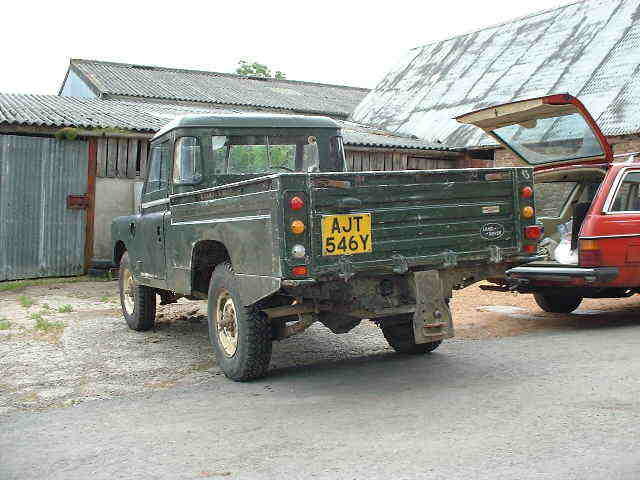 But in the short term, Land Rover needed a more powerful truck for export markets, and quickly. 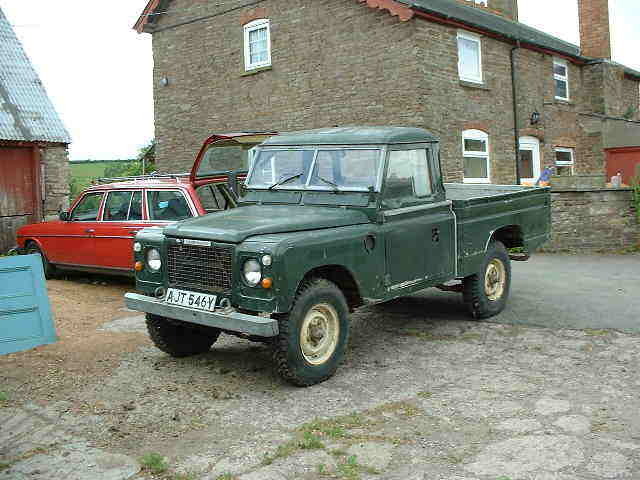 The solution was to take the existing Series III long wheelbase vehicle, and fit the 3.5 litre V8 engine and matching four speed gearbox from the Range Rover. This solved the power problem, and provided a more robust gearbox as well (the standard series III gearbox was a bit fragile). The new vehicle was intended to be the first stage of Land Rover's recovery plan - hence it became known within the company as the 'Stage One V8' , although it was officially described as the 109 V8 (109 referring to the wheelbase in inches). The 109 V8 introduced two new features which would be carried forward to the 90/110 range. 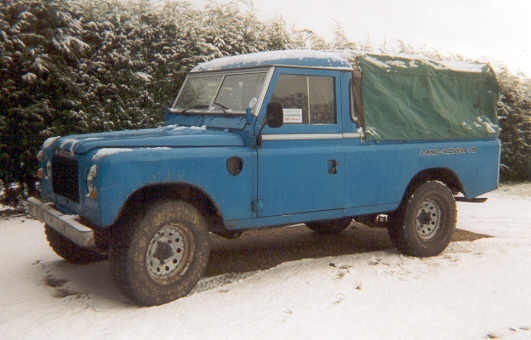 Using the Range Rover gearbox made this the first utility Land Rover with permanent four wheel drive, and the need to move the radiator forwards to clear the water pump pulley gave us the flat fronted appearance still seen on the current Defender TD5. 109 V8 Station Wagon - illustration from owners handbook. The vehicle went into production in 1979, with the first year's supply all going for export. It was available in either utility (hard top or pickup) or Safari station wagon body style, and later with the new high capacity pick up (HCPU) body, which was introduced in 1982. Relatively few V8s were sold in Britain, due partly to the poorer fuel consumption, but also because most users had no real need for the larger engine. Many of the vehicles sold here went to construction companies and were run into the ground and scrapped - I can remember one company a few years ago advertising thirty Stage Ones for breaking. Production ended in 1983 with the introduction of the new One Ten, which was available with V8 power from the start.